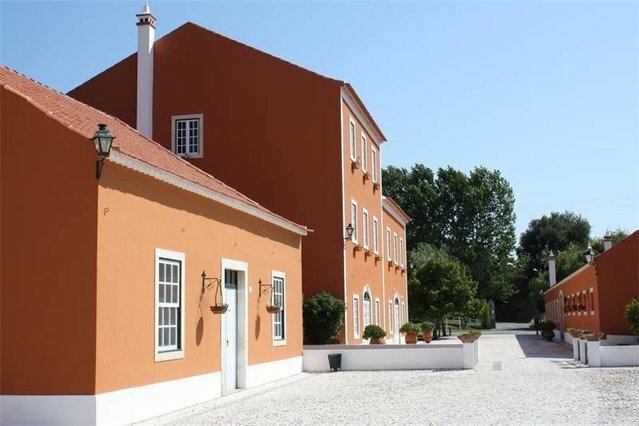 'Quinta' farm of 83 hectares situated between Rio Maior and Santarém less than 1 hour from Lisbpn. The quinta offers a number of dfferent residential infrastrutures: the main house with 4 bedrooms, a rural hotel with 9 bedrooms, which is in need of refurbishment, and 5 detached houses, 4 of which have 2 bedrooms and the other has 3 bedrooms. It has other infrastructures and services such as a swimming pool, a chapel, a covered and an open air picadeiro, 13 horse stable boxes, a museum, a conference room, a room for events, a wine cellar, a club house, a veterinary station installation, a football pitch and a complete pedagogical quinta structure. The farm land has an area of eucalyptus trees, olive trees, an orchard, meadows and the possibility for the cultivation of grapes. There is also the possibility (with an approved detailed plan) for the building of a rural hotel with 60 / 70 bedrooms, a tennis club house, a golf school and the construction of 55 villas. Access to the 18 hole golf course is 4 km away from the quinta.